You'll be £24.00 closer to your next £10.00 credit when you purchase Great Western, Grange Class Locomotives. What's this? Churchward proposed a 5ft 8in wheeled 4-6-0 for mixed traffic duties in 1901 and it was seriously considered in 1905, but it took until 1936 before his successor, Charles Collett, realised the plan by persuading the GWR Board to replace many of the 43XX moguls with modern standard mixed traffic engines that bore a remarkable likeness to the Churchward proposal. David Maidment has written another in his series of ‘Locomotive Portfolios’ for Pen & Sword to coincide with the construction of a new ‘Grange’ at Llangollen from GW standard parts to fill the gap left by the total withdrawal and scrapping of one of that railway’s most popular classes – to their crews at the very least. 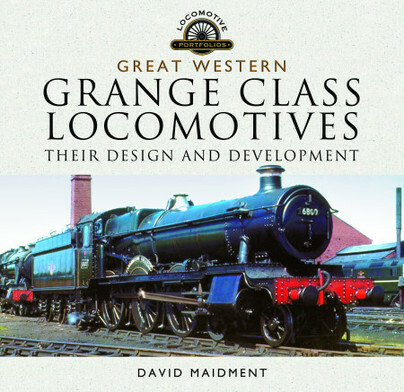 As well as covering the type’s design and construction, the author deals comprehensively with the allocation and operation of the eighty locomotives and in particular has researched their performance and illustrated it with many examples of recorded logs from the 1930s as well as in more recent times. As in previous volumes, the author has added his own personal experiences with the engines and has sourced more than 250 photos, over 40 of which are in colour.